AT&T won’t unlock your iPhone 4S, but this instructions might. Developer Daniel Scaleb found a bug in iOS 5 that allows you to unlock your AT&T iPhone 4S (GSM). 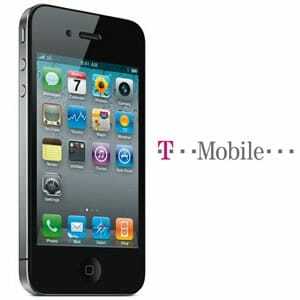 This bug can unlock your iPhone 4S and use it on any other GSM carrier like T-Mobile here in the states. The best of this is that it doesn’t requires you to have the iPhone jailbroken, it’s done without any software or hardware modifications. Below is the 16 steps the developer posted in order to unlock the AT&T iPhone 4S; but first you’ll need a GSM iPhone 4S, an AT&T SIM card, and a T-Mobile Micro SIM which can be purchased from Amazon or directly from T-Mobile; you can also cut down your SIM if you currently have a standard non-micro SIM card. Scaleb stated that you must have a T-Mobile data plan for this to work. He also mentioned that this has a tiny chance of messing up cellular radio by doing this, but it’s very unlikely. All of this was done using a GSM iPhone 4S and it doesn’t work with CDMA iPhone 4S, according to the developer.